An anonymous blogpost by Swiggy employees has called into question the growth numbers that are being touted by the food delivery startup. Titled “Swiggy Sales”, the blogpost says it’s been written by four employees of Swiggy, one of whom was fired by the company, and two who’re on the verge of quitting. The four anonymous employees make several serious claims about the company, and appear to share internal documents and slides. OfficeChai was unable to contact the authors to determine the veracity of the post. The four employees claim that Swiggy lied about its order volumes while raising its latest round of funding. “Our January 2017 order volumes were less than December 2016 volumes. Yes, we had a decline of order volumes in January. But we have seen the investor presentations, and they have shaved off the December numbers in the slides in order to show a linear growth curve across all months of our existence,” says the blog. 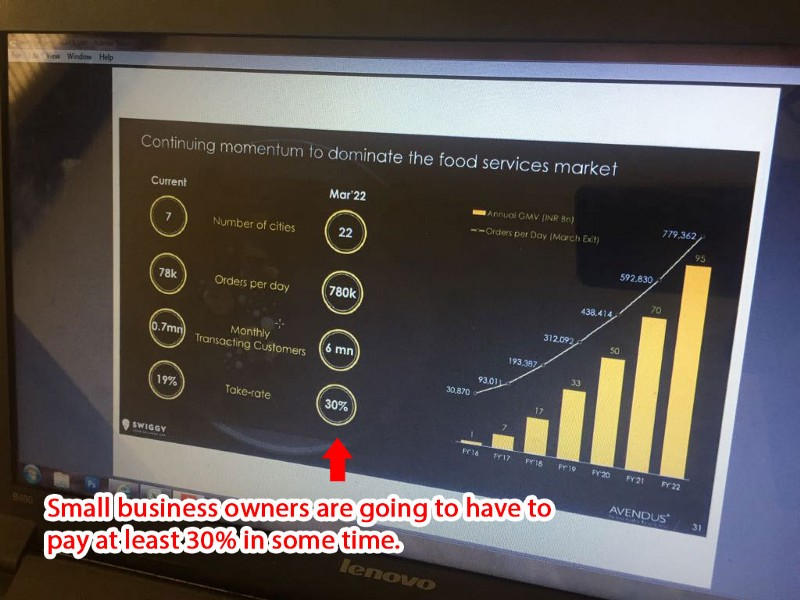 The anonymous employees then share a picture from what looks like an internal excel sheet, which shows that the orders in January were lower than the orders in December. The post also says that Swiggy revoked access to the order volume tracking dashboards which meant that employees could no longer see how many orders Swiggy was processing. The company then claimed in media reports that it was serving 4 million orders a month, but June numbers from the excel sheet show it was merely doing 2.7 million. The employees also say that as the sales team, they were made to lie about Swiggy’s market share and order volumes to restaurant owners. They also say that Swiggy has been slowly increasing commissions for restaurants. Swiggy used to initially charge 5% of order values from restaurants, but has been slowly raising this number. OfficeChai was able to confirm this from a restaurant owner, who says that their commissions to Swiggy had indeed increased over time. 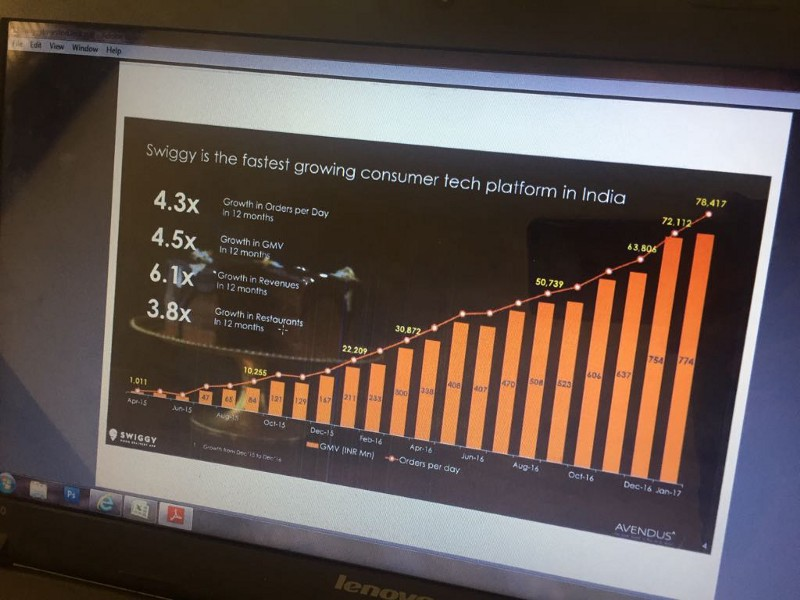 The blogpost also shares an internal deck which says that Swiggy wants the average order commission to be 30% by 2022. The blog’s authors argue this will to the detriment of restaurant owners, who now rely on Swiggy for a large proportion of their orders. The post also goes on to say that many of the company’s positive reviews on its app store are paid. “Did you know that most of the good reviews for Swiggy on the app stores are planted and paid for? Also, on social media, genuine reviews (which are usually bad) get immediately removed and buried since they are mostly negative,” say the authors. While we’re unable to confirm the Play Store reviews, Swiggy does have a higher app rating on Play Store than its competitors. Swiggy is rated 4.2 on the store, while Zomato Order is rated 3.7, and Foodpanda is rated 3.9. As for the claim about Swiggy deleting negative posts, this doesn’t appear to be immediately true — we could spot several negative reviews on Swiggy’s Facebook which hadn’t been deleted. The post also goes on to talk about the supposedly negative culture at Swiggy, saying there’s a high rate of churn. “All the good engineers, head of engineering, VP product, head of recruitment, many good managers and team leads have already left,” say the employees. While not all claims made in the post can be taken at face value — fired employees aren’t always the most objective judges of their companies — some of the accusations are serious, such as the discrepancy in order volumes in the investor deck, and the 4 million monthly orders claim to the media. We’ve contacted Swiggy for their comments and will update this post when we hear from them.